SiteGround is a well reputable host in the world. Their fast servers and responsive supports had won them awards. We trust their service so much that we host our very website Bitcatcha.com with them. Despite their great service in the western world, we are curios how do they do in the East. So we have gone ahead to set up this website in SiteGround’s Singapore servers. We track the uptime and server response speed of this website. And we share what we found on this page. For more information about SiteGround, visit SiteGround.com. Hello there. If you have come to this website by chance, I want to let you know that this is a test website for us to keep track of SiteGround Singapore’s performance. As part of Bitcatcha’s mission to empower potential buyers, we do editorial reviews based on a web hosting’s performance. We keep track of metrics like server uptime and server response time. This website is part of our SiteGround reviews. SiteGround operates datacenters 5 different locations around the world. They are Chicago, USA, London, UK, Amsterdam, Netherlands, Milan, Italy and Singapore. Eager to find out whether SiteGround Singapore fits for Asian websites, we build a WordPress site here. This site allows us to discover how SiteGround Singapore performs in real-life application. 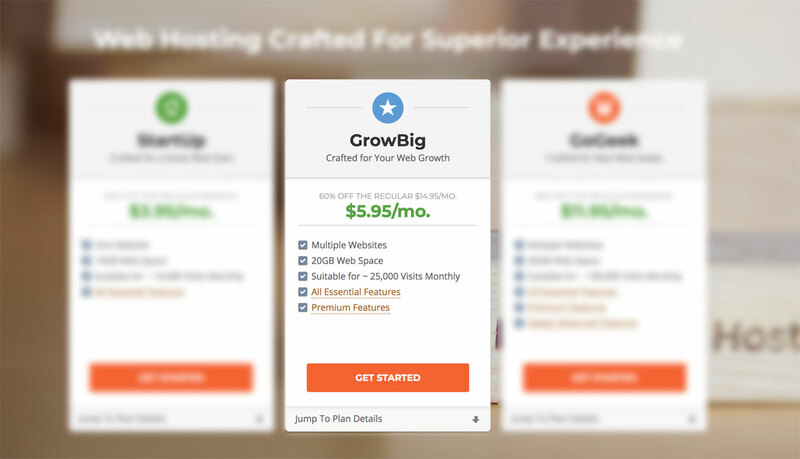 GrowBig is one of the SiteGround’s popular shared hosting plans. It comes with 20GB SSD disk storage and you can host as many websites as you want. This plan is suitable for website that receives 25,000 visit per month. Besides SuperCacher, GrowBig comes with Premium Backup. With this feature, all websites and system files can be backed up automatically. SiteGround will keep as many as 30 versions of them. 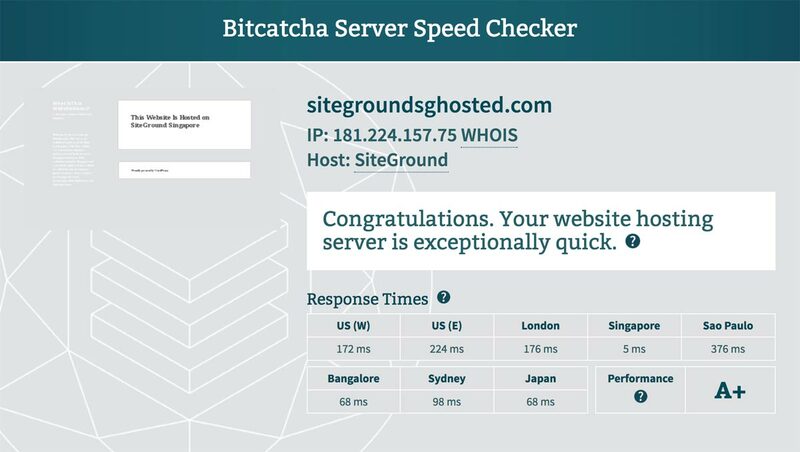 Results: SiteGround Singapore Server Speed Test Results.